Join the fun! Sign up to be the first to know when I post a new recipe, contest, and more! Ooey Gooey Butterfinger Rice Krispie Treats! Dark Chocolate Red Velvet Sandwich Cookies Recipe! Vegan! Vegan Chocolate Peanut Butter Cake Balls Recipe! Pumpkin Spice Cupcakes! 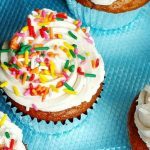 (dairy-free) – The Fetching Foodie on Carrot Cake Cheesecake Cupcakes with Cream Cheese Frosting! The Best Green Smoothie! (dairy-free, vegan) – The Fetching Foodie on Make Your Own Cashew Milk! AJ on Make Your Own Cashew Milk! MIYM Peanut Butter Chocolate Chip Blondies! (dairy-free!) on *Healthier* Oatmeal Peanut Butter Chocolate Chip Bars! 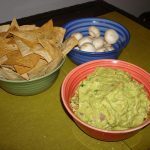 Homemade Guac & Chicken Taco Crisps! 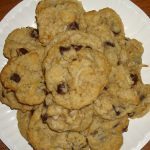 Coconut – Chocolate Chip – Almond- Nature Valley Granola Bar – COOKIES! El Chucho & Casa Oaxaca Win Margarita Wars!